Lauren and Joe’s Maine barn wedding had effortlessly pretty vibes and killer wedding party style! Lauren’s delicate lace top gown from Leanne Marshall and the maid of honor’s muted coral jumpsuit were perfect reflections of the wedding’s overall vibes: relaxed and feminine with a bit of edge. We love how Jamie Mercurio Photography captured the couple’s event, including some seriously beautiful detail shots in their light and airy reception barn! I look so much younger than I am, and was really nervous about looking like a child bride at my wedding! While dress shopping, I tried on a lot of mermaid gowns, thinking they’d make me look older and more sophisticated. They were gorgeous, but right before buying one, I backed out, knowing my heart just wasn’t in it. Then I tried on this Leanne Marshall dress (the exact silhouette and style I always loved when I saw in blogs or magazines) and knew it was the one. It didn’t make me look older or more sophisticated, but I decided to not care! I loved the neckline and how swishy the skirt was without being too full. It was so fun to dance and spin in, and so, so comfortable. My veil took the longest to choose—I ultimately wanted something almost invisible and light as air, so selected a single-layer long veil that I loved draping over one shoulder like a ponytail. I’m a total flower nut, so seeing my bridal bouquet for the first time was something I was most looking forward to. The look I asked my florist to create for me was something she hadn’t really done before, so I just had to trust in her genius (which I totally did!) All I had to go off was the inspiration I’d sent her and a few of the flowers she said she’d picked up, but otherwise, the rest of the bouquet was a total surprise! And she totally knocked it out of the park. When I saw my bouquet for the first time, I started crying. It was beyond any pin I’d ever seen. I had been stressed and nervous (in a good way, but still!) all morning and seeing that gorgeous bunch of soft blues and greens instantly soothed me. My bridesmaids bouquets were equally as stunning. It was just a perfect, perfect moment. After that it was like everything became more real. I felt SO ready! 80% of our guest list was comprised of friends and family from out of town, so it was so important for us to make sure they all had the greatest time. Making sure our guests were safely transported, well-fed and entertained was what I was most stressed about throughout the whole wedding-planning process, but it totally paid off on our wedding day, because everyone seemed so present and relaxed and happy to be together. For my bridesmaids, I wanted everyone to have the freedom to wear what made them feel lovely, so I gave them a palette of muted tones and let them go wild! I didn’t even see all the dresses together till the morning of my wedding, but sure enough, they worked out amazingly together. I knew the matching dress lengths and flower bouquets would pull everything together. And I loved that my Maid of Honor chose a jumpsuit. She looked gorgeous and it was so her. I could never imagine making them wear something they didn’t choose themselves! How can I pick just one most memorable part? The one that comes to mind first would be the feeling of standing up at the ceremony altar just me, Joe and Isla, my very best friend and our officiant. We opted to have our bridesmaids and groomsmen sit down in the front row during the ceremony after the processional, so when it was just me up there with these two people that are so, so dear to me, it felt so intimate and special. Not everyone gets to have their best friend officiate their wedding to their other best friend! That was just one moment that day when I felt like the luckiest girl in the world. Our photographer Jamie was one of the best (if not THE best) wedding vendor decisions we made. We were both so happy to have Jamie there on our wedding day. In the months leading up to our day, I remember thinking, even if something goes wrong or not according to plan, Jamie will make it gorgeous no matter what. A great photographer is like an insurance plan! My favorite moment was when she grabbed Joe and I for a quick photo session in this field outside our venue at sunset. It was so relaxing to escape the hubbub of the reception for a little while and just take in the evening air and soak in the excitement of being married. And the photos that resulted are pure magic! Don’t feel bad if planning your wedding isn’t the magical experience everyone makes it out to be. As our wedding date got closer and the pressure and to-do list tasks mounted, I started realizing that I really didn’t enjoy planning! It wasn’t that I wasn’t excited for our wedding day, or grateful for all the help and love we were getting, or excited to be married to Joe—I just genuinely didn’t like the enormous amount of pressure on me, and all the moving parts! I’m sure this feeling is more common than not, but no one talks about it. And it made me feel guilty, like I was a bad person for not enjoying it. 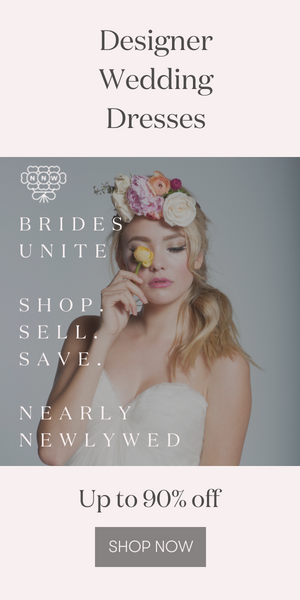 Now that I’m on the other side, I realize that it isn’t really fair that brides are supposed to take on the HUGE task of planning (mostly entirely by themselves, usually on top of their day jobs) AND totally LOVE it too! It’s OK to not enjoy the planning part — as long as you’re doing what you and your partner want, not what anybody else wants, and you know it’ll pay off in the end (mine did!). Congratulations to Lauren and Joe, and a huge thanks to Jamie Mercurio Photography for sharing this gorgeous wedding with us. Love this wedding’s romantic barn vibes? Then you’ve got to see this whimsical bohemian wedding at The Slate Barn and Gardens!